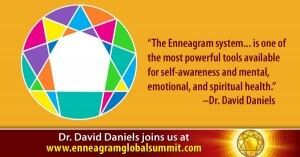 The Enneagram Global Summit sponsored by the Shift Network has just come to a close here on June 5, 2014. This event has attracted over 10,000 participants worldwide. I was honored to have been asked to open the Summit with the keynote session, giving an overview of the series and, hopefully, I compassionately presented the power and importance of the Enneagram system, the nine fundamental types, and their paths of development. There were numerous other Enneagram teachers and authors who presented during the Summit, including our very own Enneagram Narrative Tradition faculty Marion Gilbert, Peter O’Hanrahan, Helen Palmer, and Terry Saracino. You can also purchase the entire Summit, all that information is available too.